"A distinctive, playful, and insightful look at the art and craftof leading a modern-day school." "Required reading for those who are or aspire to be principals andfor those who prepare, train, or supervise them." 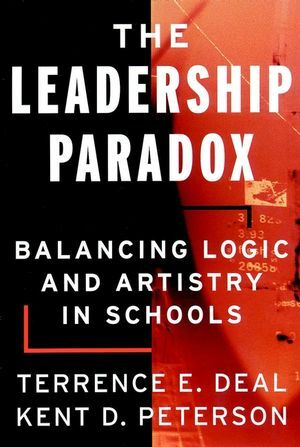 Rather than view leadership and management as opposing factions,this book shows how the two ideals can serve as complements inbuilding powerful school culture. The authors share real-lifestories and examples of school leaders who have learned to adopt abifocal approach and integrate the contradictions of their work. TERRENCE E. DEAL is Irving R. Melbo professor of education at the Rossier School, University of Southern California. He is author or coauthor of numerous books, including the best-selling Leading with Soul and The New Corporate Culture. KENT D. PETERSON is professor in the Department of Educational Administration at the University of Wisconsin-Madison and founding director of the Vanderbilt Principals' Institute. He is author or coauthor of several books, including Shaping School Culture. Introduction: A Fence That Divides. The Technician and the Artist.